This year each week I’m sharing ways to save money. This week I’m talking about making a list and sticking to it. Why is it important to have a list? I don’t know about you but if I just walk into a store without knowing what I have in mind to buy, I will almost always overspend. 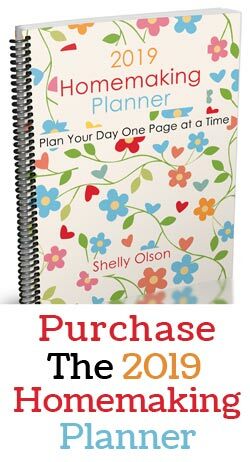 By having a list you know exactly what you need to buy and it can help you stay focused on it and not all the displays beckoning you to buy. 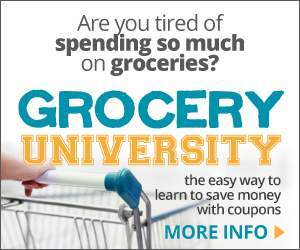 A list can help you get in and out of the store faster. Did you know the longer you spend in a store the more you are likely to spend. I try to keep my shopping time in the store to under an hour. Having my list and sticking to it helps me save time and money. When you make a list of the items you need before leaving home you are less likely forget an item. Which in turn can save you gas, in the extra trips you might need to make if you didn’t have a list. Even with a list there are sometimes things I will forget to buy, but at least I have a good chance of getting everything if I have a list. If you have a shopping list of the items you need you are less likely to be tempted to make an impulse purchase. Stores have all kinds of ways to try to get you to spend more while you are shopping. 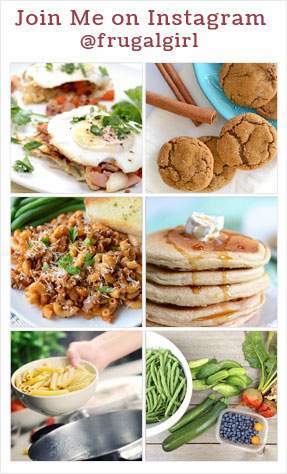 The great smell of cookies and bread are there to help you feel hungry so you will buy more. Some stores use special lighting to make the produce look more appealing. There are also end cap deals. Sometimes the deals on the end caps are great deals and sometimes there is a mix of good priced items and higher priced items. All there to lure you to purchase something you may not need. If you go into the store with a list and stick to it, you are more likely to spend less. Now I don’t always stick to my list. Sometimes I find a great unadvertised buy, I don’t want to pass up. When I find a super good buy I will stray from my list. If you need help in knowing how to make a shopping list, read this post about Making a Good Shopping List. 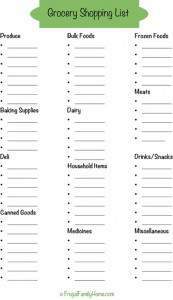 I also have a free printable shopping list for you too. 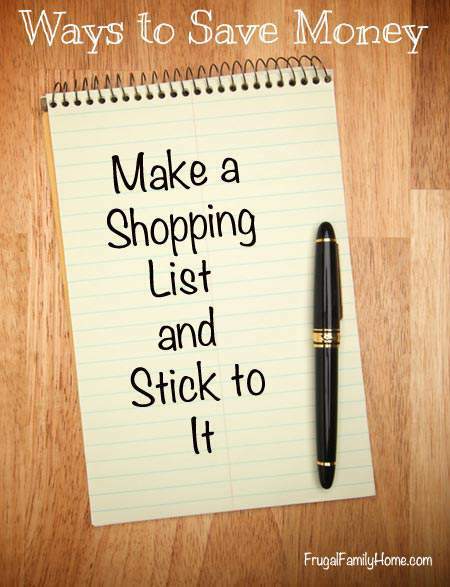 Do you always shop with a list? This is a great tip, Shelly! You’re definitely right that shopping without a list leads to overspending and forgetting items you need for the week. Great post. My wife has a rough time sticking to her list, but I think your outline might help!